Advertising Week Europe, to be held in London from March 23-27, has added an extra day. Why? So it can host the ‘inaugural’ Adland Cycling Championship at the Queen Elizabeth Olympic Park (Olympic Velodrome) sponsored by Immediate Media. Should be a laugh, one way or the other. It’s quite hard for such talkfests to decide whether they’re serious or showbiz – Cannes has the same problem – but Ad Week has lined up a pretty imposing panel of speakers this year, as well as the showbiz lot. 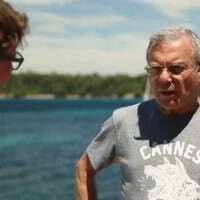 Among the hommes serieux are Publicis Groupe’s Maurice Levy, one Sir Martin Sorrell (taking part in a ‘discussion’), IPG’s Michael Roth and Yannick Bollore of Havas. Facebook’s Sheryl Sandberg makes an appearance in a lively campaign from Karmarama, below) but can’t see her on the speaker list – peculiar. WPP boss Sorrell is to “lead a discussion on winning with five-time Olympian, Sir Ben Ainslie.” Ainslie is a yachtsman. 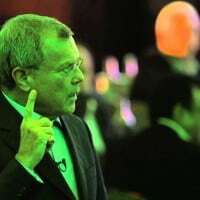 We know Sorrell is a sports nut (back in 2012 he even featured as an Olympics torch bearer) but it’s a bit of a mystery why admen think sports stars have much to teach them about advertising. It’s the macho thrill of it that attracts probably. Advertising Week Europe describes itself as “the world’s premier gathering of marketing and communications leaders.” Hmm. Anyway, we shouldn’t judge these things in advance. Further info is here.